A large part of the spectrum and its relationship to the world around us is invisible because we are limited to seeing electromagnetic wavelengths which extend only from those characteristic of violet-blues to those of the deep reds. Photographic materials can extend our vision, especially when aided by special light sources and various filters. The proper use of film, lights, filters, exposure techniques and specific applications of the four basic methods of photographing the invisible spectrum are discussed below. 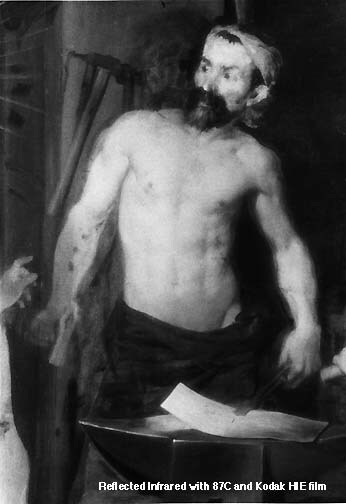 Here is one example where I used infrared photography to yield useful information to art historians about the "pentimenti" or underpaintings and underdrawings in a painting by Velazquez called "The Forge of Vulcan" which is located in the Prado Museum in Madrid, Spain. The premise for photographing by REFLECTED ULTRAVIOLET or REFLECTED INFRARED radiation is that we desire to "see" the interaction, by way of reflected energy from our particular subject, of UV or IR rays as compared to the effect on the same subject of visible light rays. The hope is that the subject may appear differently by these rays than it does by "white" light or than it would appear if seen through colored filters. An analogy for the reason to apply these techniques is the lengths to which we go to render a blue sky dark on a B&W print to contrast it against the white clouds. This, of course, is accomplished by placing a yellow or red (complementary colors to blue and cyan, the color of the sky) filter over the camera lens. The filter does not allow the sky color wavelengths to pass on to the film and thus the sky is rendered clear on the negative and dark on the print. The point is that we can distinguish between two subjects of similar tone, the sky and the clouds in this instance, but different color by filtering out one of the colors with a filter of complementary color placed over the camera lens. This principle applies also to the invisible areas of the spectrum but we need films which can "see" in these areas in order for our own eyes to see the differences if they exist. Since UV and IR wavelengths are invisible to our eyes and thus can not be assigned a "color" as such, B&W film is the most appropriate to use for both of the above applications. Almost any B&W film can be used for reflected UV photography although the slower emulsions seem to deliver somewhat better negatives. To record the IR wavelengths Kodak High Speed Infrared film should be used. It is also about the only IR emulsion readily available! Since the film has no antihalation backing allowing light and IR to pipe into the cassette it should be loaded into the camera in total darkness or under subdued fluorescent illumination. Fluorescent tubes usually are very weak in IR output diminishing the chance for fogging the film by IR rays passing into the cassette. Associated with the lack of antihalation layer in Kodak High Speed Infrared film, the fact that IR can pass through the film base largely unimpeded, this sometimes causes artifacts to appear on the negatives. Pressure plates that have a dimpled pattern embossed on them will cause a similar pattern of dots to appear on the film and cutout areas in an otherwise smooth pressure plate may also leave a matching impression but of lower density than the surrounding area. Both of these can be prevented by covering the pressure plate with a thin, smooth, IR absorbing material. Kodalith or other litho film, exposed and processed to maximum density should work well for this purpose. It should be attached with the emulsion side facing away from the pressure plate. When attempting either UV or IR photography the subject must be lit with lights which emit the wavelengths by which we wish to photograph.Electronic flash is a good source of both UV and IR wavelengths. Some flashes have a UV absorbing filter incorporated in the flash head and this may need to be removed (if possible) for best results. However, even if not removed, there is usually enough UV that "leaks" through so that at close range they still serve as useful UV sources. Then, placing a UV transmitting filter (Wratten 18A) or IR transmitting filter (Wratten 87 or 87C)over the camera lens will effectively expose the film only to the wavelenghths of interest. Under certain conditions it is possible to previsualize the approximate appearance of a UV scene by installing into the camera a groundglass covered with a fluorescing substance. The UV energy passing through the lens causes this substance to fluoresce and the UV scene becomes visible in the finder! This is also possible for IR but to a much less satisfactory extent by using screens that exhibit a "reverse" fluorsescence effect (Stokes effect) whereby a material illuminated with IR fluoreseces in the visible regin. There are also evaporation based systems where the IR-formed image may be examined visually or photographed. In order to continue to use a 35mm SLR camera for reflected IR photography even when you use the visually opaque 87 filter for photography it is possible to install the filter behind the camera's mirror mechanism and composition of the IR picture becomes almost as easy as if you were using "light" for your pictures. In some cameras with behind the mirror metering systems the filter may need to be positioned just in front of the film between the film plane guide rails. Metering off the film may be impossible. While exposure is most appropriately determined in either case by making a set of test exposures or by bracketing it may be possible to establish a UV or IR "personalized speed index" by using one of the new ultrasensitive light meters but metering through the UV or the IR filter and correlating the exposures that seem to deliver negatives which you judge acceptable by your own standards with those suggested by the meter. You should generally only attempt to establish this personalized speed index metering in the reflected mode. Finally this does not preclude bracketing but you may more consistently arrive at the proper exposure with less waste. The focal length of a given lens "changes" with wavelength and for this reason its focus should be adjusted slightly when attempting to use it for other than light wavelengths. There is a common misconception about the direction in which this adjustment needs to be made. In the case of IR the lens must almost invariably be moved somewhat further from the film than visual focus demands. While simple lenses need to be moved somewhat closer to the film in the case of UV rays, standard camera lenses need most often to be moved also further from the film just as is the case with IR. This is because most camera lenses are of achromatic color correction (unless otherwise stated to be simple, very unlikely, or apochromatic in correction) and bring two visible (except in some cases with lenses intended specifically for UV photography) wavelengths to a common focal point. Since they "curve" the chromatic focal plane about these two wavelengths the result is that both IR and UV come to a focus farther from the lens than the visible rays. The use of small apertures will in most cases diminish or eliminate the need to make a focus adjustment. When using a fluorescing screen in UV photography the UV rays are properly focused when the image on the screen is sharp. I've already mentioned the term "fluorescence", and most of us are aware of the term but may not be quite sure of what process is at work. When some subjects are illuminated by certain wavelengths they reflect back not only the same wavelenghts that they are illuminated by but they may transform some of these incident wavelengths into usually longer ones. In a sense they change the color of the light falling on them. When a subject behaves like this it is said to FLUORESCE. Some subjects change short, ultraviolet energy into longer, visible, wavelengths or colors. Others may change visible rays into yet longer, infrared wavelengths. The former effect is, of course, visible while the latter is not. This is the realm of FLUORESCENCE photography and to apply it you need to start with a source that contains the wavelengths which the subject will transform into longer wavelenghts. Usually over this source is placed an EXCITER filter the function of which is to allow only those wavelenghts through which will cause fluorescence. In UV work this is most commonly the Wratten 18A filter and in the visible region of the spectrum the Corning filter #9788 can be used. To photograph fluorescence excited by UV, which usually results in a visible effect, color film can be used to good advantage with Kodachrome 64 being paricularly suitable. 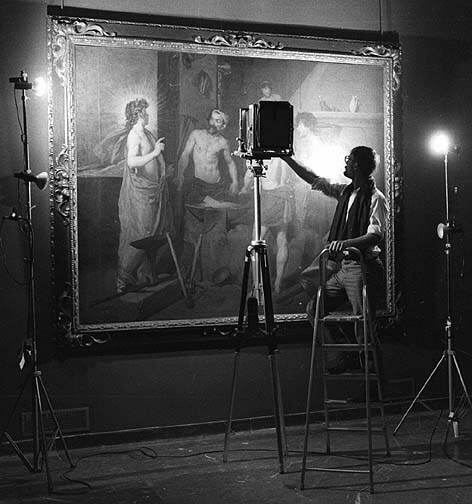 Since not only the "new", visible, wavelenghts are reflected from the subject but also some of the UV transmitted by the exciter filter, a UV blocking filter, called a UV barrier filter, is placed over the camera lens to allow the film to record only the fluorescence. For UV work this barrier filter is the 2E or similar, pale yellow, filter. Exposure may possibly be metered in the camera especially with the newer more sensitive in-camera meters. No focus compensation is necessary. 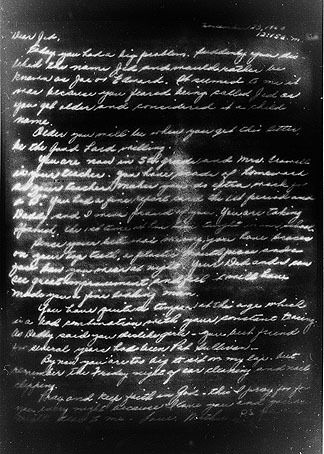 Sometimes startling results can be obtained by using Infrared Fluorescence (or as H.Lou Gibson calls it: IR luminescence) and one such example is illustrated above where several documents were prepared by the parents of a family and intended for their children to be read in the future. These were then placed in a home-made time box and buried in the family lawn for 25 years. The father wrote with a typewriter on one side and the mother with pen and ink on the other. The typewritten message survived the intrusion of water into the box, but the ink the mother used was hopelessly washed away so that her message "into the future" was visually quite indiscernible. IR fluorescence made her message reappear to the delight of the children (grown up by then). To photograph IR fluorescence (or as H.Lou Gibson calls it: IR luminescence) the B&W infrared film should be used. The exciter filter placed over the light source must not allow any infrared rays through to the subject. The Corning 9788 is just such a filter and it can be obtained from the Corning Corporation. It is a glass filter and since it will be used over the light source it can be of low optical quality. Even so, it is almost twice expensive as the 18A filter (which should be of optical quality) although for a much larger size. Six inches square vs. three inches square for the 18A, at a price of about $75 for the 9788 and $150 for the 18A. The barrier filter should be a deep red or infrared filter such as the 87 or 87C. Camera focus should be adjusted as per previous discussion. Metering is not possible because the effect ocurrs in the IR and most meters are designed to meter light, not infrared. Even meters with IR metering capability would probably fail to detect the presence of IR fluorescence because of the very low amounts of IR produced in this fashion. The four techniques briefly summarized above have widespread application in document investigations and forensic photography, in surveilance and in environmental studies. Also in medicine, mineralogy, philately, art history, entomology, etc. Generally one sets out on a voyage of discovery when faced with a new subject. One tries each method in turn, hoping that one of them will yield better information about the subject than that which the unaided eye can perceive. Each new subject becomes a most exciting photographic adventure. The sample is illuminated by "white" light and an 18A filter is placed over the camera lens, tightly fitted. If the subject does not fluoresce then you can place the filter over the light but you need to work in a dark room. 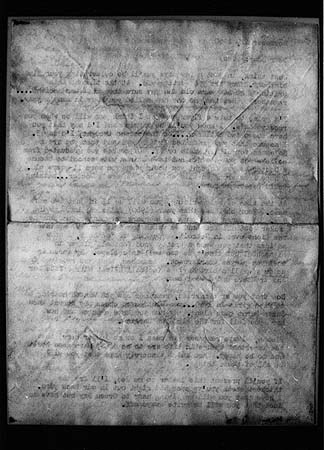 This technique is useful for the photographic enhancement of rashes and other skin disorders and also for detecting alterations in documents, etc. Lens : Should be able to transmit UV. Most camera lenses are suitable for long wave UV associated with use of 18A filter over lens. Under special conditions, such as when a short wave UV source is available, photography is done in the dark and the 18A filter is not used. Subjects that fluoresce will be recorded as a mixture between reflected UV and visible fluorescence. When photographing with short wave UV (around 254nm or less) energy, typically provided by special sources, many standard camera lenses are unsuitable because the glasses they are made of absorb such wavelengths. Quartz or mirror lenses may need to be used although pinholes and some plastic lenses are an alternative. Under very short wave UV conditions the gelatin of the emulsion itself may absorb the incident rediation. In this case special emulsions with silver halides deposited on the surface are used. Exposure : Generally determined by trial. Focus : Camera focus must be adjusted for critical use. In its most common practice the sample must be irradiated with UV rays and due to fluorescence it will "GLOW" in the visible region of the spectrum. The sample will appear in various colors as a result of the effect the sample has on the incident energy. Because samples also reflect some UV as well as fluorescing, the unwanted UV is removed with a "barrier" filter opaque to UV. The filter which limits the incident energy to a desired spectral region is known as the "exciter" filter. This technique is particularly useful for the identification of minerals and for "fingerprinting" documents such as stamps and currency. It is also used in forensic work with fluorescing powders in fingerprint visualization. Light source suggested : Electronic Flash or UV emitting lamps operating in a darkened environment. Exciter filter suggested: with lamps it's built in so none needed with electronic flash use 18A over flash. Appropriate film : Color reversal daylight film seems best. Effect is in color so B&W film less useful. Exposure : Can often be determined with built in meter but light level is much lower than it might appear visually. Focus : Visual focusing on groundglass possible. The sample can be illuminated by "white" light and an 87 or 87C 9or similar) filter is placed over the camera lens, tightly fitted. In a darkened room the filter may be placed over the light source. Sometimes a filter is not required. For example, a flatiron may be used as a source of IR radiation and if operating in a dark room no filters are needed. Some photographers use a #25 filter over the lens of SLR cameras in particular so that they can focus on the image in the groundglass. Alternatively, the visually opaque IR filter may be inserted behind the camera's mirror. 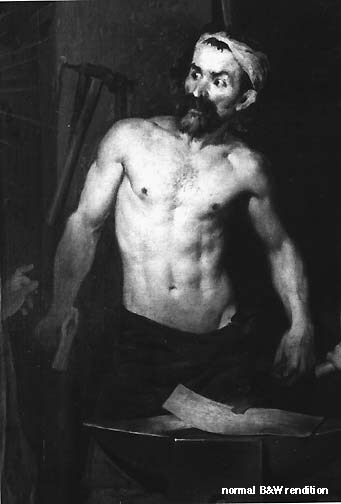 This technique is useful for the recording of subcutaneous (below skin) veins, for the detection of alterations or forgeries of documents, for surveilance,etc. Light source suggested : Electronic Flash, floodlights or daylight. Filters suggested : 87 or 87C over camera lens. Exposure : Determined by trial, use manufacturer suggested data, or using CdS Luna Pro and metering through 87C filter set ASA guide to a speed of 2400. Focus : For critical results it must be adjusted. As in fluorescence excited by UV certain samples transform shorter wavelengths into longer ones which in this case are in the invisible IR region. This effect is sometimes called "luminescence" and the sample is usually irradiated with BLUE-GREEN light without any IR present in the beam. A barrier filter which allows only the newly created IR wavelengths to pass into the camera is placed over the lens. Best to work in a dark, IR free, environment. This technique is particularly useful for the study of inks, hardwoods and forgery detection in forensic photography. Light source suggested : Tungsten or Electronic Flash. Exciter filter suggested: Corning 9788 over light source plus Corning 3966 heat absorbing filter placed between source and the 9788 if using tungsten source. Certain blue-green lasers also may be used without any filters. Exposure : Determined generally by trial. Expect it to be extremely great. Focus : Must be adjusted for critical results. Note: when IR reflected light photography is done with COLOR INFRARED film, then "white" light plus IR must fall on the sample, thus a Wratten #12 is used over the camera lens to remove from the incident radiation the blue light to which the three layers of the IR COLOR film are all sensitive.